As with a lot of Young Adult fiction of this diary-like form, the writing style is very chatty and relies on a lot of clichéd language and phrases. It’s not a writing style that I really get on with when reading fiction, so this was something I had to push through in order to enjoy the book. Holly Bourne makes an admirable effort to confront the stigma surrounding OCD, both through Evie directly calling out false stereotypes, as well as using her counselling documentation as a structural device. Generally, Bourne does really well to convey Evie’s inner struggles and effectively explain the ‘compulsion’ part of the disorder, however there were a few cases when rather flippant comments and incongruities on Evie’s behalf inevitably raised questions. But I think it’s also important to remember that this is supposed to be a teenager’s account of her struggles. 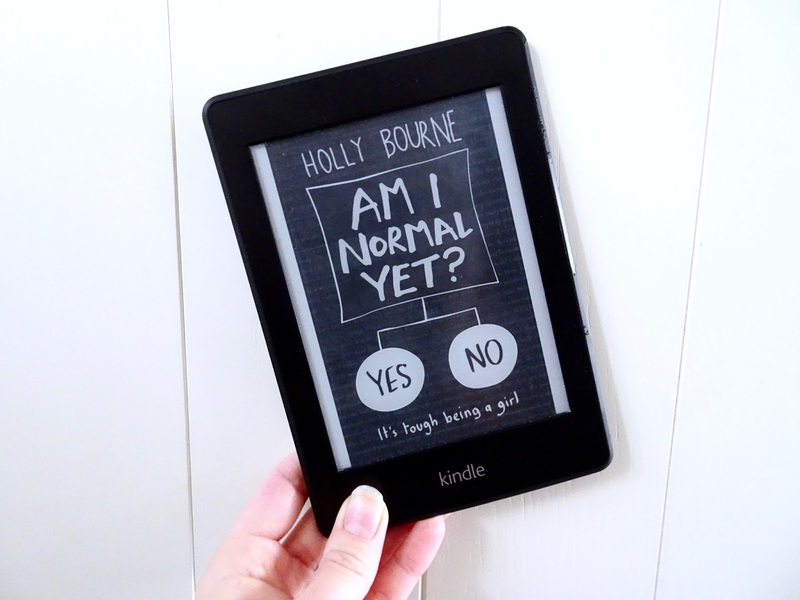 A teenager who is surrounded by the stigma herself and wants nothing more than to be ‘normal’ and to fit in. Not only does Bourne take on the ambitious task of tackling the mental health stigma, she also introduces feminist concepts and theories, largely through issues that commonly arise in the day-to-day lives of teenage girls. It’s very basic level stuff, and Evie, like most girls of her age, only begins to see the parts of sexism that affect her life directly, but it’s still comforting to find a Young Adult book that attempts to highlight these issues for young readers. What made me, to my surprise, become very involved in this book, was the array of lovable characters. In spite of my initial uncertainties about the style of writing, I found myself willing Evie to help herself get better and hoping that she would fix things with her charismatic younger sister and find the courage to reach out to her amazingly charismatic and insightful friends. If Young Adult fiction and a chatty, clichéd writing style is your thing then Am I Normal Yet? is definitely one you should read. If you’re like me and usually struggle to enjoy this style of reading, then it’s probably not a book you should rush out to buy. However, it does offer a really valuable insight into the over-stereotyped and largely misunderstood effects of OCD.